What were the most popular names for boys in England during the 16th century? In his book Names and Naming Patterns in England 1538-1700, Scott Smith-Bannister looked at the records of tens of thousands of names to answer this question. 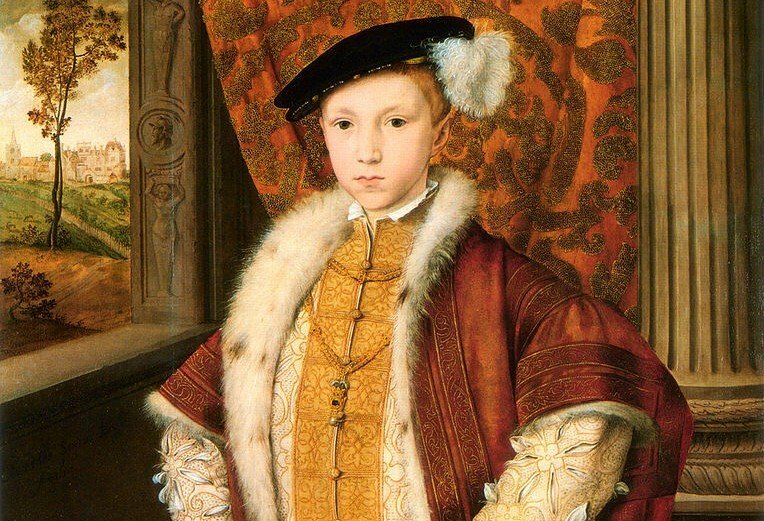 While the name Edward – including Edward VI (1537–1553) – was in the top 10, it was not in first place. Part of Smith-Bannister’s research involved him examining records of baptisms found in 40 parish registers spread throughout England. By following their records from 1538 to 1700, the author was able to get a sample of 122,710 names. Based on these records, here is a list of the top 10 boy names for based on the records from 1538 to 1599. John was consistently the most often chosen name through the Tudor name, and would continue to do so during the seventeenth-century. While Thomas and William vied with each other for second place, and Robert and Richard for fourth, there was a little more movement in positions among the other top ten boys names. Nicholas, in particular, started this period in sixth place, it found less and less popularity, and by the end of the sixteenth-century was barely making tenth place. Other boys names that could be found just outside the top 10 list included Roger, Francis, Anthony and Christopher.